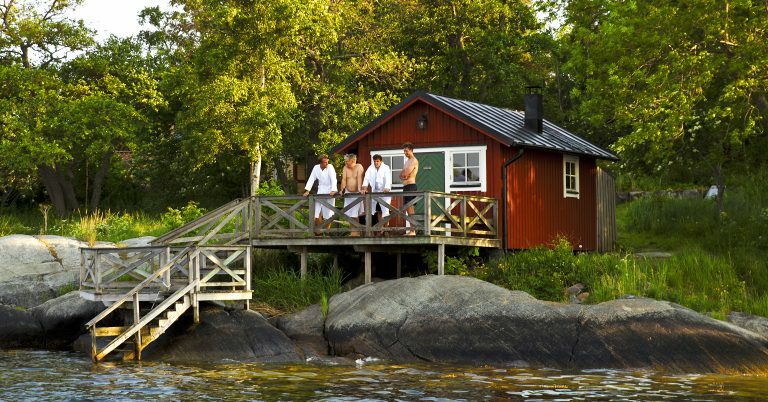 There are several places in the Stockholm archipelago where you can sauna thanks to the Archipelago Foundation. There are saunas on Arholma, Träskö-Storö, Ostholmen, and Nämdö and at Österviken that are open to the public. Can I sauna when there is a total fire ban? When total fire ban are annoced, saunas with wood burning heaters are closed. There are booking lists in each sauna. Can the ranger book the sauna for me? How do I know whether the sauna is available? By going there in advance to book it. Are there saunas that can be booked via telephone? There are a number of saunas in the Archipelago Foundation’s areas that are connected to the inns and hostels and can be booked via these. No, it is available at the sauna (with the exception of the Nämdö sauna after October). SEK 20/adult but feel free to pay more! Swish or cash. When are the saunas open? Our saunas are open 1 May–31 October unless otherwise stated on the website. The saunas need to be booked in advance at the site. Open 17:00–19:00 for unbooked visits. Only pour fresh water on the heating unit. Please clean before you leave. Fee: SEK 20 per adult. The sauna needs to be booked at the site. On Träskö-Storö there are two saunas in the same building. The large sauna, the rule is first come, first served. The little sauna needs to be booked at the site.